This poor homeless statue of Jesus is still having trouble finding a home without controversy. Appropriate, I think. It challenges our sensibilities in a way that I think only Jesus does. But, here’s the thing: this is not controversial from a Biblical perspective. If Jesus wasn’t actually homeless (for a dude who might have had a home, he doesn’t hang much there in scripture), he certainly was found with the homeless and destitute, probably sleeping many nights under a sheet with the sky as a roof. OMG, Jesus! Where did you get those quads from? Biking? I’d say it’s damn near blasphemous…and that’s coming from someone who doesn’t think much is very blasphemous. An uproar over this statue…that’s screwed up. We see Jesus as Jesus is and get all offended. That’s a teachable lesson for those with eyes to see and ears to hear. But I haven’t heard much said about those other pics or others like them that appear on bulletin covers, emails, Facebook memes, or bumper stickers…in fact, I’d dare guess that most Christians would see them and not think two things about them: their veracity, their message, their scandal. Want to know what else doesn’t seem to cause much controversy? The fact that people die of starvation in the city of Chicago, one of the wealthiest cities in the world. Or the fact that farm owners are committing suicide because they can’t make a living anymore, what with our demand for everything cheap and mass produced and all. Or the fact that $600,000 was stolen from smiley Joel Osteen’s mega church a few weeks ago, and that was just one Sunday’s offering from plate-giving. For some perspective, that is almost double my faith community’s total operating budget. Where’s really-ripped abs Jesus when you need him? This entry was posted in Current Events and tagged Church Insiders, Honesty, Powers and Principalities by Timothy Brown. Bookmark the permalink. 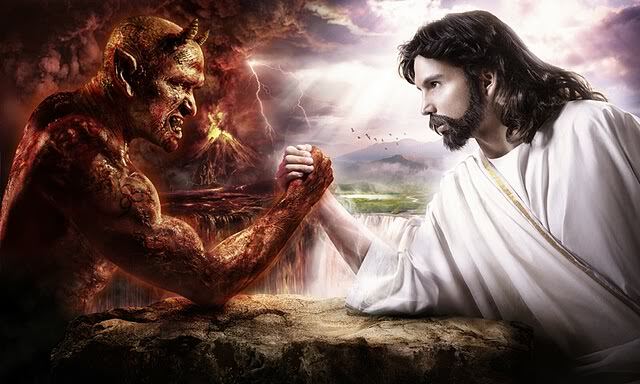 I think that much of what is being shared in this article is absolutely spot-on, but I dare guess that the majority of Christians do, in fact, found the ripped-ab Jesus and arm-wrestling Jesus to be both creepy and theologically and scripturally unsupportable. Please keep in mind that the majority of Christians are not American or even European. Even among those of us who are American, I believe the majority are just as dismayed by those two images as the author. Thanks Lisa. I hope what you say is true. 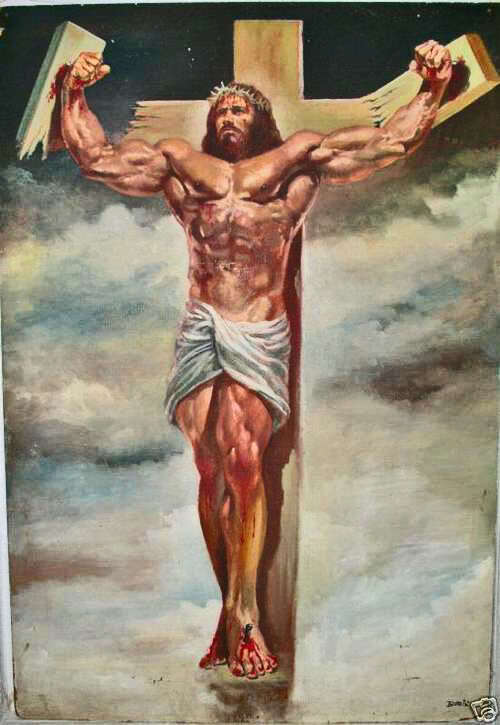 “Where’s really-ripped abs Jesus when you need him?” For the win. Nice piece with good perspective. 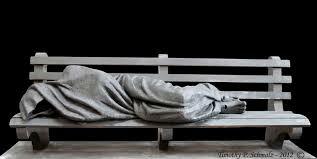 After seeing a story about this sculpture (linked on Facebook) a friend of mine responded with: “Jesus is not homeless. He lives in my heart.” I copied and pasted a few verses from Matthew 25. Within minutes she responded that she had forgotten those verses, and now sees the sculpture as a challenge rather than an insult. The Gospel really does get scrubbed too often and too effectively. It’s good to revisit the grit and grime now and then. I honestly can’t see why a statue of the Son of Man who had “no place to lay his head” should be deemed controversial. Have we really lost touch with the Gospel that badly? The one of the muscly Jesus breaking the cross I’d actually say does cross the line into blasphemy, it’s so dreadful. Theologically unsupportable and bizarre to look at. The other one’s almost as bad. Those ought to be controversial, not homeless Jesus. Great piece! I saw an article about the “homeless Jesus” and wondered why anyone would think it was controversial…we should not be surprised. When Jesus lived here on earth; He was controversial, so much so that they killed Him!